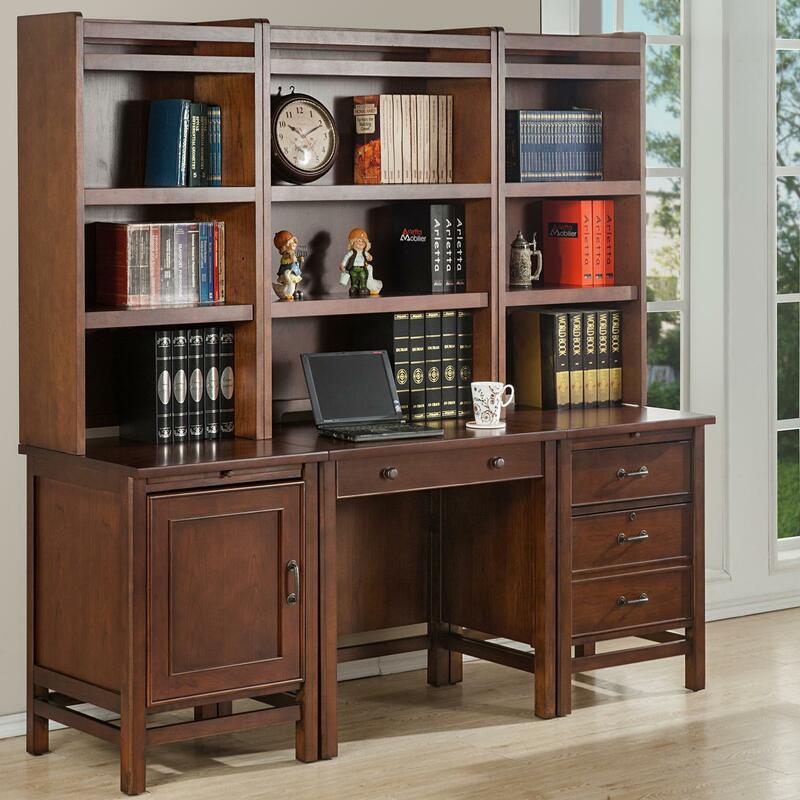 Perfect for the office that keeps a lot of books or journals, this desk and hutch will help you to store reference books right where you work. This desk has a timeless, traditional design style with a hand-rubbed finish over solid cherry wood and veneers. The desk features hidden storage while multiple shelves offer additional places to keep items visible and easy to grab. The Willow Creek Desk and Hutch by Winners Only at Simply Home by Lindy's in the Hickory, Morganton, Lenoir area. Product availability may vary. Contact us for the most current availability on this product. GW132H 32" Hutch 1 31" 12" 42"
GW132D 32" Writting Desk 1 31" 24" 30"
GW122F 22" File 1 22" 24" 30"
GW122C 22" Printer Pedestal 1 22" 24" 30"
GW122H 22" Hutch 2 22" 12" 42"
Finish & Paint Options Classic Cherry finish. Handles & Hardware Brass knobs and bar pulls. Case Detail Block legs with stretchers. Bead molding. Drawer / Shelf Construction English and French dovetail drawer construction. Fully finished drawers. Case Construction Cherry solids and cherry veneers. The Willow Creek collection offers timeless bedroom designs with a distinct mission feel. 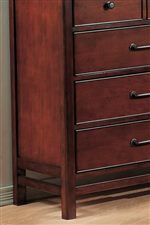 Pieces are crafted of cherry solids and veneers, and feature a hand-rubbed Classic Cherry finish that exudes warmth. Storage abounds throughout the collection with plenty of drawer space, accented by brass knobs and bar pulls. Block legs and stretchers highlight clean lines while providing a unique quality to each piece. Warm and sophisticated with a relaxed mission feel, Willow Creek delivers timeless charm and modern function. The Willow Creek collection is a great option if you are looking for Mission furniture in the Hickory, Morganton, Lenoir area. 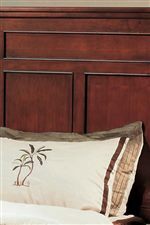 Browse other items in the Willow Creek collection from Simply Home by Lindy's in the Hickory, Morganton, Lenoir area.